I came across this in my PInterest pins a few weeks ago. A great idea for growing greens easily in limited space. 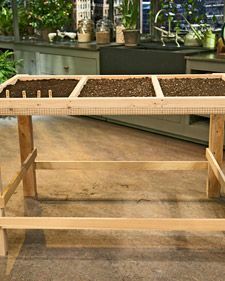 Salad Table: The University of Maryland’s Jon Traunfeld explains how to grow your own greens using an innovative salad table. Part 1. Categorized under: Education, Food, Pinterest.